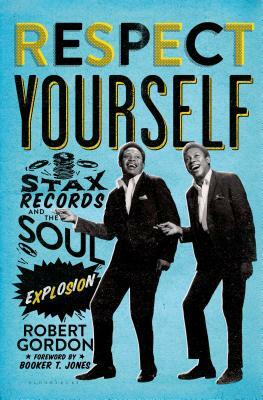 The story of Stax Records unfolds like a Greek tragedy. A white brother and sister build a record company that becomes a monument to racial harmony in 1960's segregated south Memphis. Their success is startling, and Stax soon defines an international sound. Then, after losses both business and personal, the siblings part, and the brother allies with a visionary African-American partner. Under integrated leadership, Stax explodes as a national player until, Icarus-like, they fall from great heights to a tragic demise. Everything is lost, and the sanctuary that flourished is ripped from the ground. A generation later, Stax is rebuilt brick by brick to once again bring music and opportunity to the people of Memphis. Set in the world of 1960s and '70s soul music, Respect Yourself is a story of epic heroes in a shady industry. It's about music and musicians -- Isaac Hayes, Otis Redding, Sam and Dave, Wilson Pickett, the Staple Singers, and Booker T. and the M.G. 's, Stax's interracial house band. It's about a small independent company's struggle to survive in a business world of burgeoning conglomerates. And always at the center of the story is Memphis, Tennessee, an explosive city struggling through heated, divisive years.